The Cute Potato family is feeling topsy turvy lately. We’re unpacking boxes every day (nearly 170 to get through, if you can believe). Plus, we’ve been busy with school meetings, soccer practice, dancing lessons, appointments, and adjusting to a new routine. All the team really wants to do is start making this house our own. The kids can’t wait to unpack their library of books, and MP is looking forward to hanging family photos and art on the walls. With thoughts of books and decorating in mind, we’re giving away a little something for adults and kids. 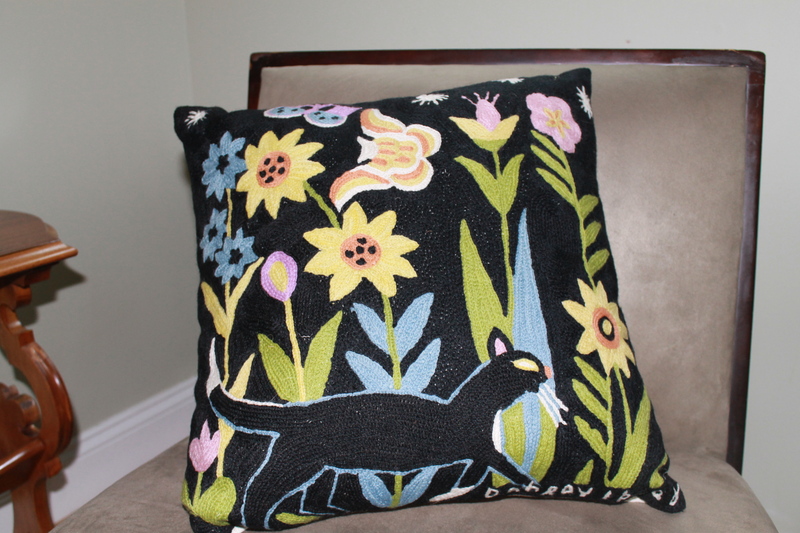 Thanks to our sponsor, Daytrip Jr., we have a gorgeous, chain-stitched pillow (valued at $120) called “Cat in the Garden,” and a copy of the children’s classic, The Cat at Night by author and illustrator Dahlov Ipcar. The image on the pillow is a page from The Cat at Night. Want to win? Simply comment on this post below, and we’ll pick a winner at random. Contest ends Sunday, September 15 at midnight EST. Good luck! This pillow is so beautiful. I love the colors! Love this book, and love the pillow! So beautiful! We love Dahlov Ipcar! The pillow is gorgeous, and so is the book! The pillow is beautiful and Dahlov Ipcar is so very talented. I saw some of her artwork at a gallery in Georgetown and have been fascinated with her ever since. So glad that Islandport re-released this wonderful classic book. It is as fresh and sweet today as it was in 1969. I’d love to keep this pillow in my reading nook! My boys and I love this story! And what a beautiful pillow! Nice chatting with you at school last night.I love the pillow! on September 13, 2013 at 4:58 pm | Reply Jess M.
What a lovely pillow! My girls love cats. Mrs. Ipcar signed a copy of The Cat at Night inscribed, “To Harrison, who loves his kitty”. He is four and obsessed with this book. Kitty at night! Kitty at night! he said when I showed him the pic of the pillow. great give away!! 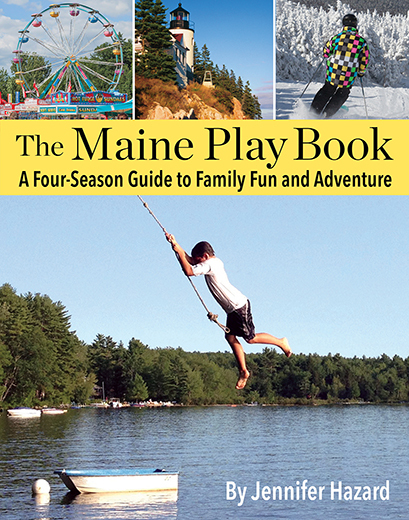 my grandchildren are getting a new kitten & would love the book!! and the pillow is lovely! LOVE this pillow, and my children would love this book! the book and pillow would make children at Spiral Tree Yoga super happy in our kids yoga discovery room. Namaste! The pillow is beautiful and I’d love to read the book to my boys! I would have to buy 2 other copies of the book as well, I have 2 great nieces and one great nephew and I get them all the same books! I have the book THE CAT CAME BACK by Ipcar and used to use it as a music teacher.Love the pillow! How cute, this pillow would look perfect in my living room. Thanks for the chance! I have three cousins having babies this month! Id love to give this to at least one of them, thanks for the love!